Greak Oaks Charter School, located in Manhattan, has a few open seats. Families can apply online. If you haven’t found a middle school seat for your child at this late date or are unhappy with the one you have, don't despair. Sometimes space opens up the first week of September—as families move or change their plans. 1: Call the schools directly. Ask if they have seats. To register your child, you’ll need to go a Family Welcome Center, but you’ll have better luck if you know which schools have space. A school’s principal or parent coordinator may help you navigate the bureaucracy to enroll your child. No school wants empty seats. 2: Plead your case. Many schools limit admissions to in-district students, but at this late date, there may be some wiggle room for out-of-district students. For example, Andrew Sullivan, the principal of the Community Action School in District 3 on the Upper West Side told us there may be space for out of district students who can demonstrate a “hardship.” What’s a hardship? Maybe your child’s grandparents live near the school and your child goes there after school. Or maybe he picks up a younger sibling nearby. Plead your case; especially if the principal tells you there are open seats. 3: Research your options before you go to an enrollment center. Compile a list of schools you’re interested in (and schools you absolutely want to avoid). Use InsideSchools to search for schools by neighborhood and district. Once you arrive at the Family Welcome Center, keep your smart phone handy to check InsideSchools for last minute research. 4: Consider charter schools and any school that starts in 5th grade. We called a few charters schools and found several that still have space for 6th graders. Consider Great Oaks Charter, BUGS and Brooklyn Lab Charter. Unlike traditional public schools, which follow a centralized enrollment process, each charter school handles its own admissions. Most make it super easy to apply online. If they don’t have space now, ask to add your child’s name to a wait list. If you have a rising 5th-grader, consider enrolling her in middle school now. 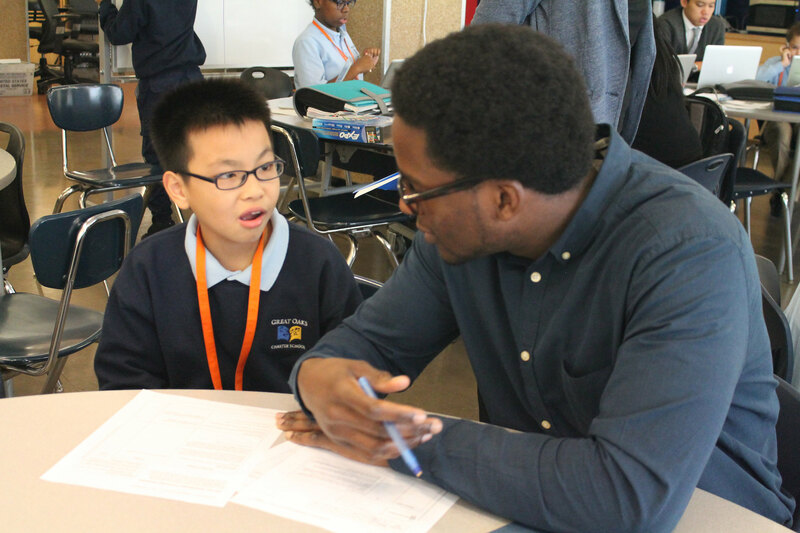 A few district and many charter middle schools start in 5th grade such as Philippa Schuyler, KIPP Amp, Harlem Hebrew Language Academy, and the Collegiate Uncommon network schools in Brooklyn. 5: Be patient and persistent. Schools don’t know who will actually show up until the first day of school. Staff honestly can’t tell you whether they will have seats until then. So don’t give up. Don’t be a pest, but let the school know you want to enroll your child.